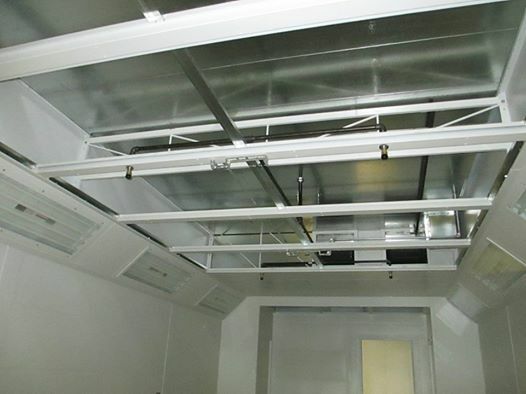 Atlantic Fire provides industrial paint booth fire suppression in full compliance with national and local regulations. Working closely with local spray booth re-sellers and installers, Atlantic Fire is able to provide a no no-hassle solution for your specific application. The companies we work with offer a wide range of booths for almost any purpose, and are built by industry leading manufacturers. We test, inspect and maintain paint booth fire suppression systems to ensure proper performance in the event of a fire. Design Phase and CAD Drawings. Installation of a complete pre-engineered dry chemical fire suppression system. System test and final inspection. Visually inspect location and performance of nozzles. Link line and detector positions. Automatic actuation of the fire system. Examine, record, and verify hydro test date of cylinders. Examine, record, and verify regulator test dates. Verify exhaust functions for activation. Proper level of pressurized tanks. Click Here to see more videos or call us today at 610-789-7630 for more information! !